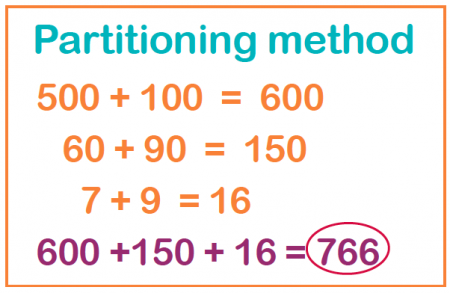 Not sure what your child means when they talk about partitioning numbers in maths problems? We explain the method, and how your child will use it. Why are children taught partitioning? 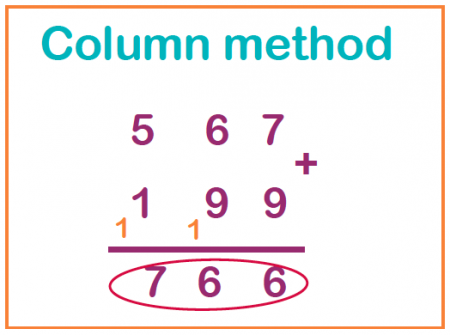 Children are taught this method before they learn to add numbers in columns. Partitioning gives children a different way of visualising maths problems, and helps them work out large sums in their head. By breaking numbers down into units that are easy for them (and us!) to calculate mentally, they can reach the correct answer without counting out tricky double or triple-digit numbers on their fingers or trying to remember where a decimal point needs to be. When do children start to partition numbers? A teacher might start teaching children to add two-digit and three-digit numbers in Year 3 by partitioning. The reason for this is that it helps children to mentally add multiples of ten (70 + 50 for example) and multiples of 100 (400 + 800 for example). Children in Year 3 should add also learn to add three-digit numbers using the column method, so your child is likely to encounter both of these methods. Again, the grid method is used so that children are repeatedly practising multiplying multiples of ten with other numbers, for example: 30 x 20, 30 x 3, 20 x 8, etc. Once teachers are very confident that a child is aware of how to multiply multiples of ten and one hundred, they will often allow a child to move onto the quicker column method.